We do not receive remuneration for recommending software programs. My opinion is provided strictly as a service to those who are interested in what we do at Arhat and what I do in my practice. As many of you know, my interests revolve around translating Medieval texts and testing specific techniques that I find in those writings. That is something I enjoy doing for the astrological community at large, and I share my knowledge freely. I don't advocate using any untested methodology with clients. It is difficult if not impossible to find computer programs that meet all of my needs. In lieu of doing my own programming again, I had to find an industrial strength software program; a Swiss army knife of astrology programs, if you will, along with technically proficient professionals I can work with. Efficiency and economy were also important considerations, yet no one program met my requirements until we tried SIRIUS by Cosmic Patterns. SIRIUS 1.1 by Cosmic Patterns provides us the advanced capabilities we need. The learning curve is not too steep and the program is intuitive and user friendly for beginners. Advanced users will experience a greater learning curve for installing and customizing a smoothly working system. But it can be done and you will get excellent customer support along the way. If your practice involves relocation work, you will find detailed map features and professional research options. We also recommend David Cochrane's companion relocation book, Astrolocality Magic to assist your professional work. Advanced education and years of professional research have gone into the work at Cosmic Patterns. There are no quick or psychic fixes to advanced mathematics and research protocols that produce such work. Very few in our field have acquired these credentials. David and Fei Cochran and Cosmic Patterns Software are known for technical competence and beautiful aesthetics. Their latest release of SIRIUS contains exquisite advanced features in too many areas to elaborate here, yet it is user friendly enough for beginners. Novice or advanced, Sirius is deserving of your review. The intuitive graphic interface leads you along showing you more and more revelations as you go. So, for a beginner, you are never overwhelmed by too much information at one time. We think this is a great program for learning astrology if that is your goal, and a great program for teaching astrology if you have students. 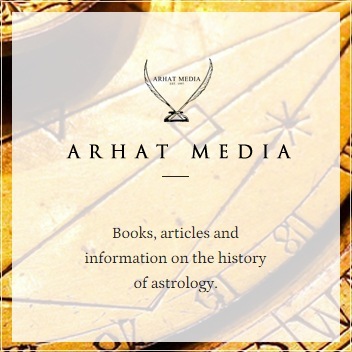 For professional astrologers who work with clients, note the presentation of harmonics on aspect lines, and the inclusion of Egyptian terms in Hellenistic and for Medieval chart work. Not to mention that every chart you print is suitable for framing. Cochran's implementation of Win Van Dam primary directions is one of the most interesting and significant 20th century developments in the long neglected field of primary directions. Sirius has an equally beautiful mapping program. There are some add-on programs you might want to get with Sirius, including its mega atlas and additional art charts. Professional astrologers will find they need additional time to install, set up and configure their systems, but this is to be expected. SIRIUS 1.1 converts Solar Fire 4 & 5 and you will get excellent customer support.